No 101 Squadron formed as part of the Royal Flying Corps on 12 July 1917 and was deployed to the Western Front in August as a night bombing unit equipped with F.E.2b aircraft. Its main task was to carry out night attacks on German railheads and airfields. The Squadron flew during the battles of 3rd Ypres in 1917, and throughout the 1918 German Spring offensives on the Somme before supporting the final allied attacks on the Hindenburg Line. No 101 Squadron returned to England in 1919 and disbanded at the end of the year. 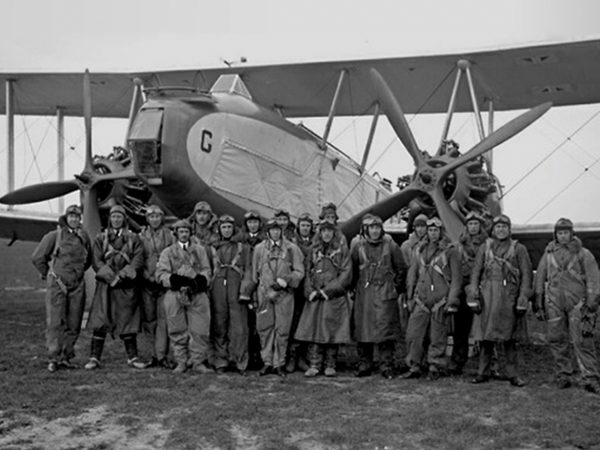 The Squadron reformed on 12 March 1928 and was selected to fly the revolutionary Boulton and Paul Sidestrand bomber. Squadron pilots annually displayed this surprisingly highly manoeuvrable aircraft at the RAF Hendon Air Pageants and won many bombing and navigation competitions. The Squadron received the improved Overstrand in 1935, which introduced the power operated gun turret into RAF service, this event being commemorated by the castle turret on the No 101 Squadron badge. During the Second World War No 101 Squadron served with Bomber Command, equipped initially with Bristol Blenheims, then Vickers Wellingtons and from September 1942 with the Avro Lancaster. In June 1943 the Squadron moved to RAF Ludford Magna and then flew specially equipped Lancasters fitted with “Airborne Cigar” ECM. The Squadron was to fly on more raids than any other RAF Bomber Command unit but paid a heavy price, losing 1176 aircrew killed in action. In 1946 No 101 Squadron moved to RAF Binbrook and flew the Avro Lincoln until 1951 when it became the first RAF unit to equip with the English Electric Canberra jet bomber. The Squadron introduced the Canberra into RAF service, training crews for other units and flying operational missions in Malaya in 1955 and Suez in 1956. 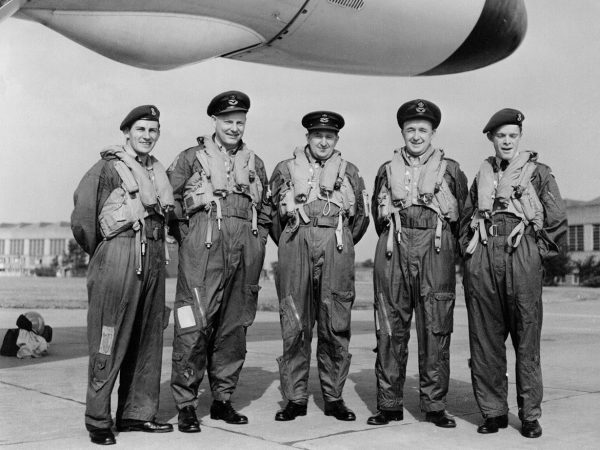 In 1957, the Squadron reformed at RAF Finningley with the Avro Vulcan bomber carrying Britain’s nuclear deterrent as part of the RAF V-Force. They moved to RAF Waddington in 1962 and became the first Vulcan squadron to use air to air refuelling (AAR), enabling it to make a record breaking non-stop flight by 3 Vulcans to Australia in 1963, one of which was flown by a recent Chairman of our Squadron Association, Gp. Capt. John Ward. In 1982 a 101 Squadron Vulcan crew carried out the first Operation Blackbuck bombing raid in the Falklands War, succeeding in putting the runway out of action and helping to bring the conflict with Argentine to an end. 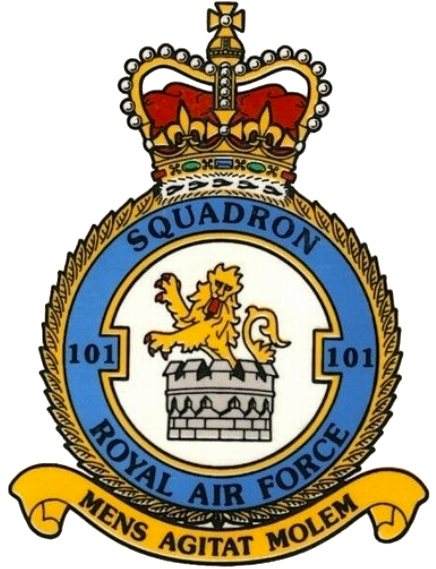 On 1 May 1984 No 101 Squadron reformed as a dedicated Air To Air Re-Fuelling unit at RAF Brize Norton equipped with VC10 aircraft. The Squadron provided AAR for UK and RAFG based aircraft as well as supporting long range overseas deployments or “trails”. 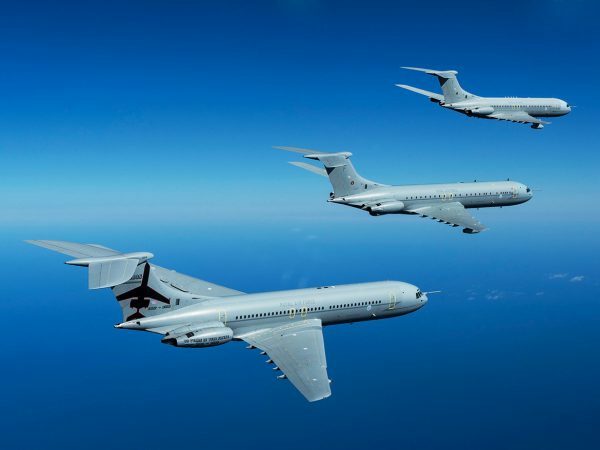 During the last years of the Cold War No 101 Squadron VC10s regularly provided AAR for fighters intercepting Soviet intruders penetrating UK airspace. 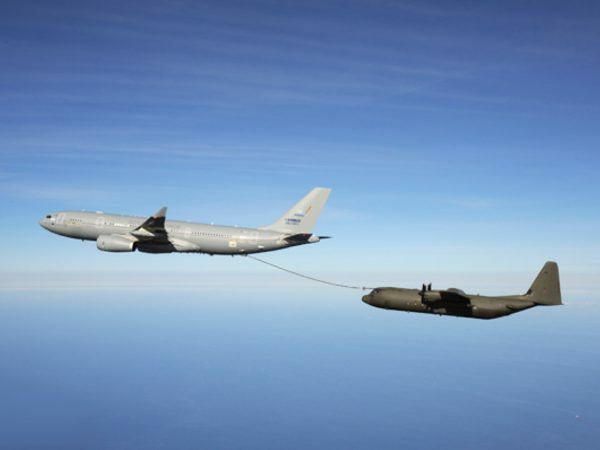 In August 1990 the Squadron deployed to the Arabian Gulf in support of air operations against Iraq, and every year since then a 101 Sqn VC10 tanker detachment has been based in the Middle East, participating in the air campaigns over Afghanistan (2001) and Iraq (1991 and 2003). From 1993 the Squadron supported NATO air operations over the Balkans, concluding in the Kosovo conflict in 1999. Its crews have been detached regularly to the Falklands in the South Atlantic while back at Brize Norton VC10s are kept at high readiness to scramble in support of RAF fighters defending UK airspace. During 2011, 101 Sqn was heavily involved in NATO air operations over Libya while still providing AAR support over Afghanistan, but in 2012 the Sqn returned to Brize Norton in sad anticipation of its pending disbandment in 2013 when the VC 10 came to the end of its service life. The very good news however, which came in June 2013, was that the Squadron would after all continue in operation after being selected to convert to the new ‘Voyager’ aircraft – the replacement for the VC10. 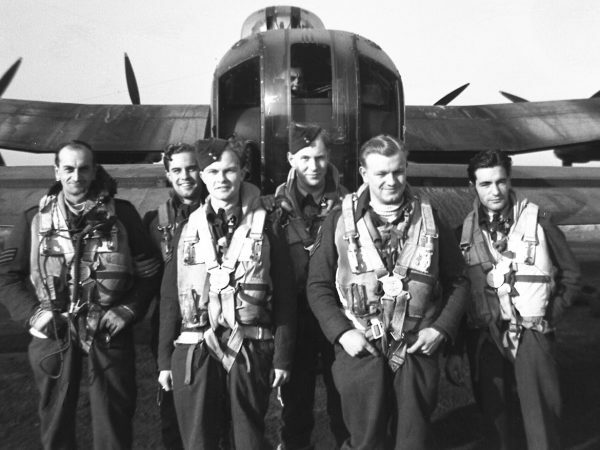 A full history of the 101 Squadron can be found on the official RAF website.